Here are some other photos that didn't make the cut! Go Big Blue! This is so cute! 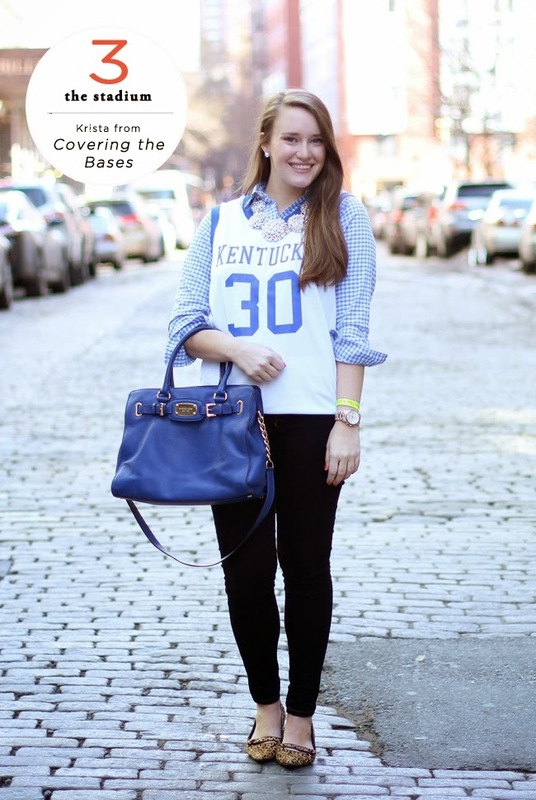 Love the way you jazzed up a casual jersey! Thanks Ashleigh! Different, but I love it! Love you how you styled your jersey, I would never think to pair it with a button down but it looks great! Thanks Jen, def worth a try out next time you're wearing a jersey! Hey Krista! Love this look! Where did you get your jersey? I'm having trouble finding one that will fit my small frame, is yours a men's or women's style? Go Cats!